As Chairman of Lion Cao, David uses his extensive contacts and relationships in the private equity industry to generate new business development opportunities and source new investments for Lion Cao. David has more than 35 years of experience in private equity, investment banking, and corporate finance and is a senior member of the Investment Committee. Prior to Lion Cao, David co-founded Lion Chemical Capital (“Lion Chemical”) in 2002 with his brother Peter De Leeuw, the former CEO of Sterling Chemicals and a Senior Executive of Shell Chemical. Lion is a private equity firm investing in chemical and affiliated industries. Prior to founding Lion, David was a founding partner at McCown De Leeuw & Co. (“MDC”), a private equity firm focused on middle-market leveraged buyouts, which raised more than $1.2 billion in 4 funds and invested in over 40 platform companies. 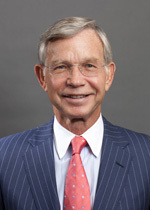 Prior to founding MDC in 1984, David founded and was the Head of the leveraged acquisitions group at Citibank, and was previously at W.R. Grace & Co., and at PaineWebber in New York and Tokyo. David is also a very active personal investor in the Alternative Investments area. He has participated in over 50 private partnerships, including direct investments into companies (buyouts and venture), hedge funds, private equity and venture funds, and fund-of-funds. David has been a Chairman, Vice-Chairman and/or Director of several NYSE and NASDAQ companies as well as numerous private companies David was also on the Board of Excel Polymers LLC until it was sold in 2010 and on the Board of Lion Copolymer LLC, (portfolio companies of Lion Chemical Capital), both $400M+ revenue companies. David has been an active alumnus serving on several committees for both Columbia Business School and Lafayette College. David also has been a guest lecturer at Columbia Business School and at Harvard University with Professor James Medoff, the Meyer Kestenbaum Professor of Labor and Industry and former advisor to the Federal Reserve Board. He is a member of the Advisory Board of the Private Equity Program at Columbia Business School. David received a B.A. in history from Lafayette College and an M.B.A. from Columbia Business School. As CEO of Lion Cao, Holly oversees the day-to-day operations of the company with David, as well as focuses on sourcing and structuring new direct investments, co-investments and fund investments. She also maintains relationships with many of the fund and operating managers that Lion Cao’s principals have invested with over the years. Holly is a member of the Investment Committee. Prior to Lion Cao, Holly was a Co-Founder and Managing Partner of The Icon Group LLC, an alternative investment firm focused primarily in hedge funds, private equity funds and direct investments for a group of families in Central America. Holly was also a Venture Partner of Point Judith Capital, a venture fund seeded by The Icon Group, and currently serves on the Valuation Committee for PJC Fund I. 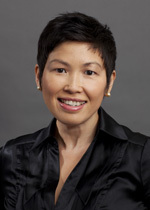 Prior to co-founding Icon, Holly spent three years at Capital Guidance, an international private investment firm in Washington, D.C. At Capital Guidance, Holly was a key member of the U.S. team investing in and managing operating companies focused on distribution, manufacturing and real estate businesses, among other industries. Holly’s primary initiatives included buying, building and managing two portfolio companies at Capital Guidance – MasterTile, a ceramic tile distribution company, and Madison Realty, an upscale retail real estate development, acquisition, and property management company that owns and manages upscale retail real estate properties. In addition, Holly also was part of the team that managed a large pool of investments in LBO and venture capital funds. Prior to Capital Guidance, Holly spent two years at Goldman Sachs Asset Management, where she worked with the Fixed Income Portfolio Management team in managing institutional client portfolios and relationships. Prior to Goldman Sachs, Holly spent two years in Public Finance Division at Smith Barney Inc., where she helped execute over $1 billion of debt financing and derivatives for municipal clients. 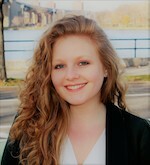 Holly’s prior experience also includes summer positions at McCown De Leeuw & Co. and Village Ventures. Holly received an A.B. in Economics from the University of Chicago and an M.B.A. from The Wharton School at the University of Pennsylvania. Holly is a Board Member of the Stan Lee Foundation. As Chief Administrative and Operations Officer (CAO) of Lion Cao, Virginia directs the operational, administrative and financial affairs of the firm. Virginia manages the firm’s investment portfolio, financial plans, operating budget, firm policies, accounting practices and procedures, tax, audit, risk, compliance, and governance issues as well as all day-to-day operations. In addition, Virginia heads investor relations, public relations, human resources and IT. 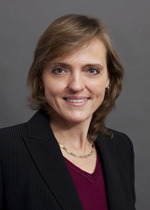 Virginia is co-leader of the Executive Management team’s strategic planning and development initiatives. As a member of the Investment Committee, Virginia manages the interface between investment sourcing and execution and new investment fulfillment and integration. Virginia was a founding team member (along with David De Leeuw) of Lion Chemical Capital (“Lion Chemical”) in 2002. Virginia continues to direct operations, finance, and administration for Lion Chemical out of the New York office. Prior to Lion Chemical, Virginia headed the New York operational team of McCown De Leeuw & Co. (MDC), a middle-market private equity firm that raised over $1.2 billion in four funds. Prior to MDC, Virginia was an Associate with Scudder, Stevens, & Clark and was responsible for integrating new corporate investments, pension accounts, personal investment counsel accounts and trusts. Prior to Scudder, Virginia spent ten years at the Financial Times (FT). Virginia’s tenure at the FT included progressively more senior level positions culminating in her directing the Subscription Department for North America. Virginia worked closely with the directors of marketing, sales, and distribution in dramatically expanding the FT’s North American circulation. Virginia received a B.A. in Economics and English from Barnard College, Columbia University and an MBA from Columbia University. Virginia is a Board Member of FedSave.com. Chelsy joined our team in 2016. She is responsible for the operations of the firm’s underlying funds as well as the administration of the Co-Founder’s personal investment portfolio. She works closely with the bank to oversee wire transfers, as well as with our administrator, regarding the day-to-day activities involved with investors’ accounts and communication. Chelsy manages Human Resources as well as all IT, accounting, and vendor relationships. Chelsy received B.A.s in English and Theater from the College of Idaho. Pansy is responsible for office administration and support to the company. She coordinates events, as well as answers and monitors follow up action steps on correspondence. She serves as a principal contact and source of information for investors and vendors. Pansy earned a B.S. in Actuarial Science and Economics from New York University.